It's been less than a week since we first clapped eyes on 3DS XL, and there have been doubts for some about the potential positives of the system. From a technical perspective one concern has been the graphical fidelity of the original resolution on a bigger screen, alongside general curiosity about how the system feels to play. As reported by Kotaku, a lucky French gaming site has had an opportunity to try out the handheld and post a video in the process. Assuming that the (google) translations are accurate, it's said that the bigger top screen screen has a superior viewing angle, with comments that the 3D effect appears to be more natural and effective. The impressions say that the visuals themselves hold up and potentially look better than on the original model, possibly due to some filtering effects. As for the curved design, it's argued that this makes the system more comfortable to hold. We'll need to get our hands on it ourselves and read more impressions, of course, but it seems that concerns about the size of the screen in terms of graphics and resolution may be eased. The hands-on video from p-nintendo.com is below. Sounds awesome.. Now give us a release date for the white model in EU Nintendo! great for the people who want it but it's not for me. I have the Wii U and the new Vita bundle to save up for. That's enough consoles for me, handheld or otherwise. If it came out in purple then I'd think about it. This was the website I unsuccessfully copied and pasted in the forum "3DS LL/XL Confirmed." I was in a rush that day. Anyways, the 3DS XL looks like an incredible system the way that they explained it hands-on. That video was pretty useless but the article is very informative. Am I really the only one who gives a Sh** about the cameras? I guess they would have touted it already if they were changed at all. Would it have been that hard to try it here and give a comment? I really want at least a confirmation that they're the same resolution and the two are the same distance apart (a little further apart would make better 3d, they're too close now). I'll get it anyway, can't stand the gloss of this one and it's so much bigger without looking too bulky travel with. awesome. Seems nice with the bigger screen but I still think a smaller one is more comfortable no ?! looks more like real console controller size to me actually. I'd like to use the d-pad sometimes but I don't because it's just to close to my palm to reach comfortably, especially "down" button. this looks much better. Why they didn't have it at E3 for people to try (before they judged) is beyond me. Well I don't know why people would worry about screen resolution when the original XL's was fine and it was lower than the 3ds. I just hope next gen Ninty will release an XL AND a regular sized portable simultaniously instead of a year later. What about the DS games? I mean they already look fine to me on my 3DS, but have they improved here? This article has put some ease into my concerns for the top screen. I say some because not everyone sees the same so I'll have to see for myself. Otherwise, August 19 can't come soon enough! I just finished reading the article (via Google translator). Screen, size, weight; all positives. The only negative thing they could find with it is the sound of the speakers that indicated that they are about the same and not improved. They also noted that it could have been because they were in a noisy room. I also liked how they ended the article: the 3DS XL is like a hot girl (or boy, whatever your preference) that you are trying to find flaws on. If you look, I'm sure you'd find them. But why would you? It's a hot girl and so is the 3DS XL! Liking what I see so far I'm just concerned about DS games, though - Are they going to be as blurry as before? They should announce a special edition 3DS XL with a golden color bundled with New Super Mario Bros. 2.. I'd buy that in an instant! @BalrogtheMaster I doubt it, because if they are going to make a better looking screen they are probably going to fix the problems they had with the screen. I hope the stylus is stored somewhere on the right-hand side of the system this time. @StarWing3D - My thoughts exactly. Looks sweet. Wish they had shown RE running on it though. My 3DS gives me hand cramps after an hour or so so this looks perfect for me. I always carry a bag so portability is not a factor and man, those screens look great!! Too bad the system itself is a bit too ugly. Unless they make a special edition Fire Emblem Awakening bundle with the XL that turns the XL into something that's actually pretty (with nice color and nice design like that Cobalt Blue Fire Emblem 3DS that Japan got), I won't be switching. @VampireKiller I had the impression that it indeed is at the right side. Hard to confirm. @Eureka #20 If they look blurry, then atleast if played in original resolution they will also be 90% larger, which should be pretty good. You can see the stylus is stored in the back in the video if you look closely, my guess is because they need more room for the battery. What happened to the 3D indicator on the top panel? Just wondering. I'm sold! Being able to play VC titles in their 1:1 aspect ratio on a larger screen is another massive postive. the 3DS is practically an improvement over the original in almost every way except for the lack of gloss and Cake layered finish which I find dissapointing, but I can deal with it...So excited. @Shockerz I checked it, the 3DS reveal video from the last Nintendo Direct shows it clearly that the stylus is on the right side. When the system rotates you can see all sides. Sold like a Christmas goose. I want this ! I have a DsiXL and I wanted them to put a 3DSXL out , Thanks Nintendo... you heard my call !!!!!! I love the Idea of the large screen and all the nicer 3DS features! New games. I hear the 3D mode no longer gives folks eye strain .... YIPPY !!! I will most definately get one. Its just a matter of choosing the colour now! Tempting, but still not a day one buy for me. Maybe after it goes on sale or something. Or they make it purple. If its over 50 quid more expensive (minus a charger!) than the standard 3DS, you'd hope it would be at least a bit superior in some way! As someone who doesn't have a 3DS yet (despite buying a GBA SP and DS/DS Lite), I'm still waiting for more top-of-the-range quality before buying one. A 2D Metroid would probably work, or an exclusive Zelda. Is it wrong to brag that Ive known this was coming out for months and months? brag brag brag brag brag. now i want one and my wife isnt gonna be very happy about it. but no. i will wait until my standard 3ds breaks or something. This is the news I wanted to hear. Looks like I'll be getting one then. I was going to get it regardless. But hearing how about it's inevitable improvements leaves my mouth watering- this is what I've truly wanted and fixes most if not all the qualms I have with the current model. Sounds good. I'm still on the fence on if it's worth NOW money. Huh, perhaps I've been thinking about this wrong. DS Lite refined everything about DS brick because it had to, DSi was all about new features, so by that point DSi XL hit me more as a novelty (sort of like the inverse of the slimline "end of run" model). Now most of the 3DS is fine (don't start about the circle pad) but the centerpiece of 3DS is it's fancy screen. If the big screen really has improved the 3D and visuals, than XL IS the dedicated improvement. Sorry, I was paying attention to the Mario Circuit theme from SSBB. All this thing needs is a nice skin and it won't look so hideous. I'll stick with my regular 3DS. In my opinion, the smaller the better. @L4DYK0M1C Exactly what I was thinking. It fixes all the little annoying things about the current hardware. Without a doubt I will get it when it comes out. It actually looks pretty great. Color me impressed. Getting this day one. If you've played the DSi you know how well the screen made the games look. 1. Is the 3DS XL just going to be available in blue and red on day one in the U.S.? 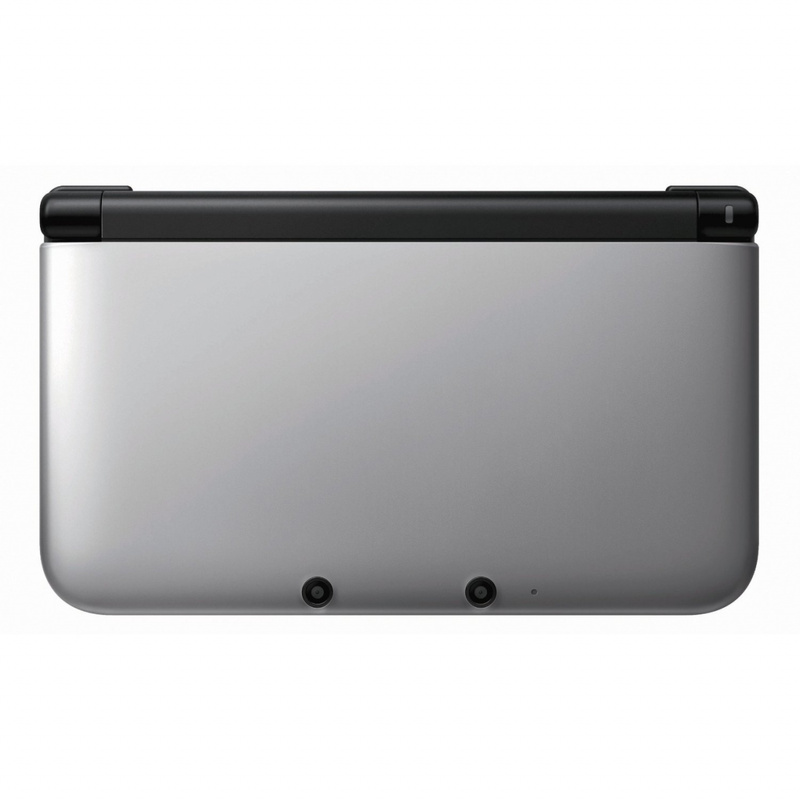 I was hoping for a silver model which I have also seen touted around and maybe a magenta like the DSi XL color. The colors they chose seem too "kid like" for my taste, I would rather have a stylish and grown up color scheme. 2. Is the stylus a lot bigger, too, like on the DSi XL? 1. As far as I know, yes. However, the blue, at least, does not look as bad as its picture- blue will shine like the original Aqua Blue, so if you like that, it shouldn't bother you. @Savino I agree! I want a grey 3DS XL! The blue and red colors look washed out and f'ugly!